This collection is almost old news by now, but I’m still seeing it in stores, so I’ll still tell you about it. Plus, I bought the whole collection and in my head that’s not really justifiable if I don’t officially blog about it. 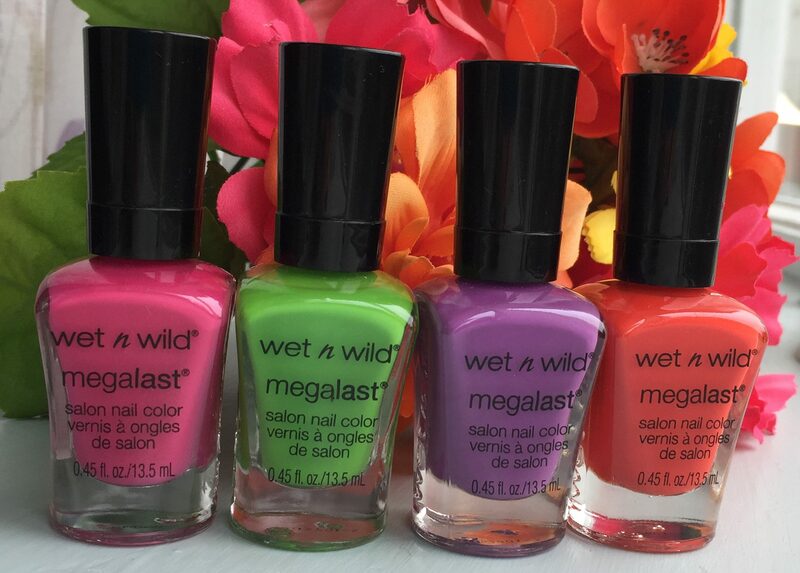 So here it is, the Wet n Wild Summer Collection for 2016: Lost in the Wild Flowers! 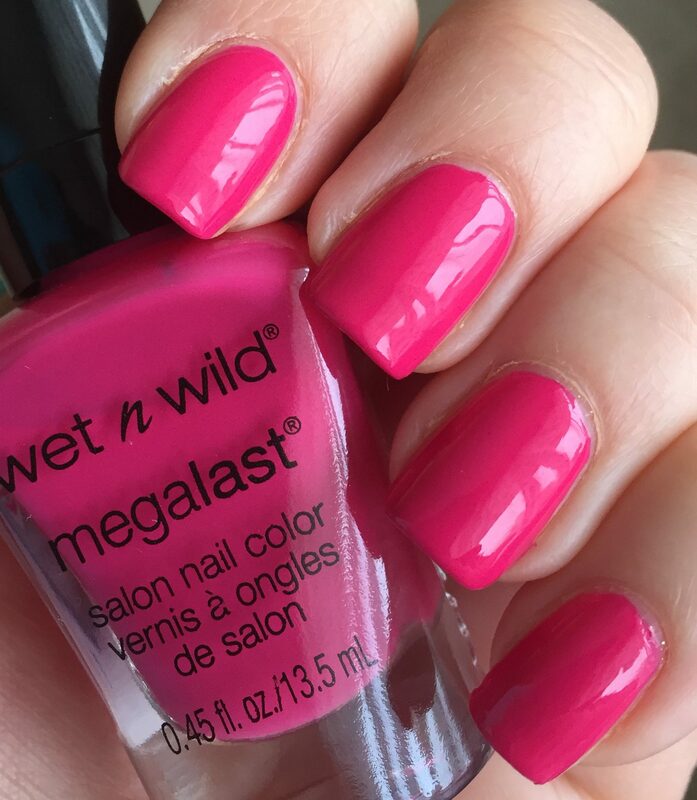 This bright pink cream is opaque in two coats and dries to a really shiny finish. There’s not too much else to say about it. The formula is really nice and it’s a really pretty color. In looking through my collection for dupes, I found a match that is almost dead on, and that is Wet n Wild – Lavender Creme. The one I own is in the old style bottle, but this same shade is still available in the new shaped bottles. Really, they are super close! Lavender Creme is a hair lighter than Cherry Blossom On Top, but really, if you already have Lavender Creme, you can skip picking up Cherry Blossom On Top. It baffles me when a brand puts out pretty much the exact same color like this. I mean, I know Lavender Creme is in the Wild Shine line, and Cherry Blossom On Top is in the Megalast line, but really…. I feel like it’s not too much to ask for a limited edition polish to be different from what that particular brand already makes available. First world problems, I know. 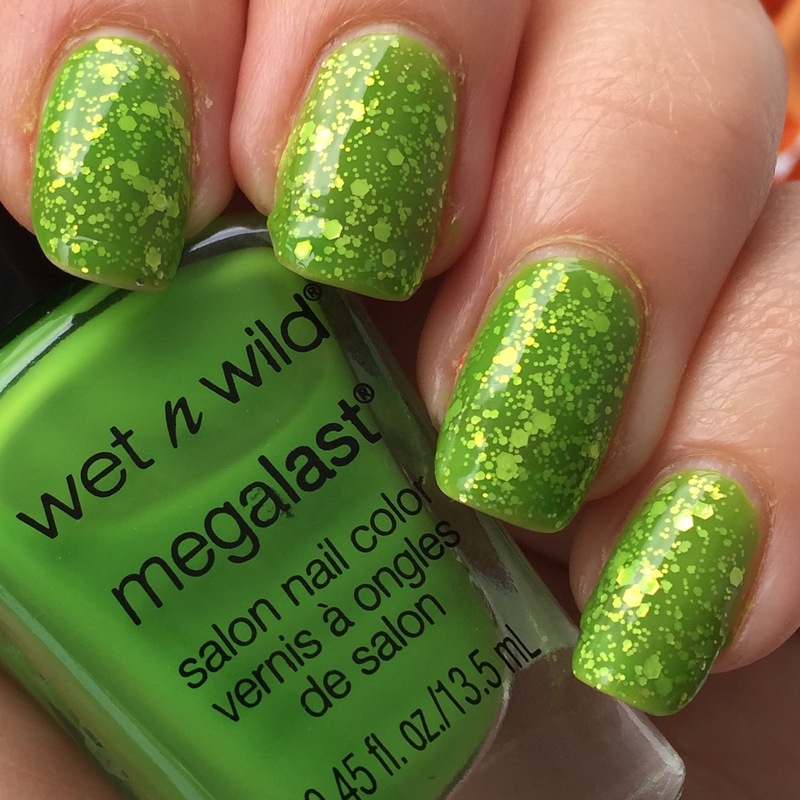 This bright spring green polish is a jelly formula, so it dries really shiny. On my index and ring finger is three coats of the polish on its own. On my middle and pinky fingers is three coats over white. 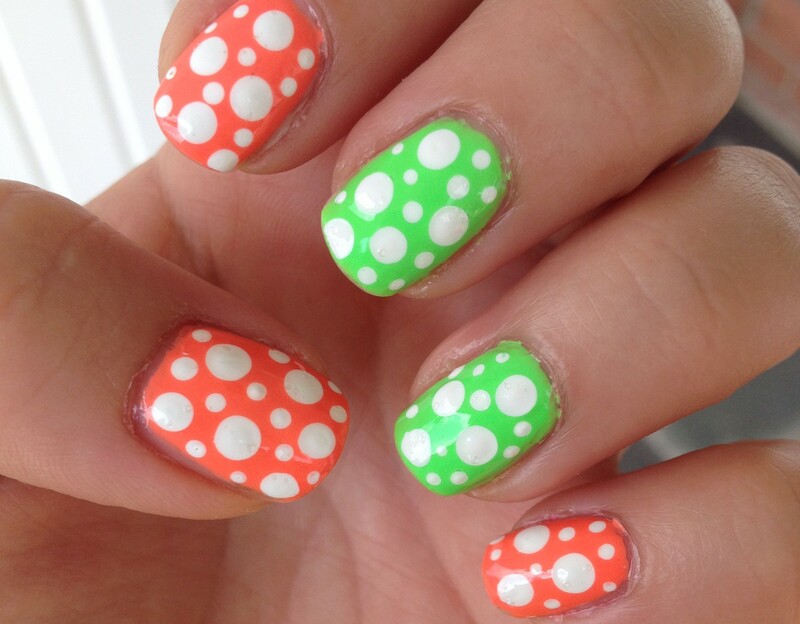 Jelly polishes are always fun because of the nail art and jelly sandwich potential that they have. And actually, the first thing I did with these polishes when I got them home, was to make a jelly sandwich! Here it is on the left with two coats of Leaf Me Be, a coat of silver glitter polish, and then another coat of Leaf Me Be. So sparkly and fun, but muted at the same time! 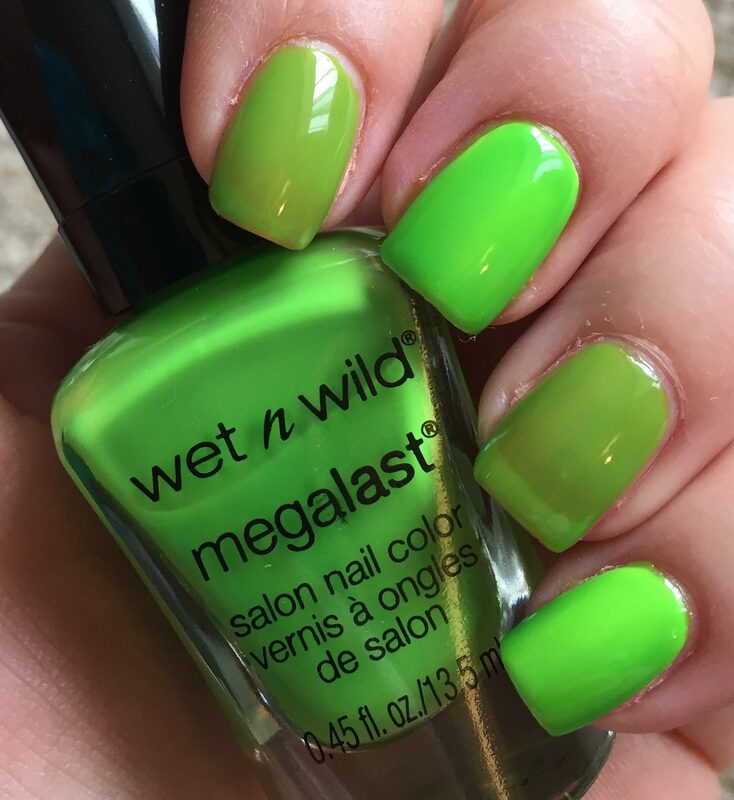 As far as dupes of this polish go, I didn’t really have any good ones in my own collection, but I did find a kind of close one while I was at Dollar General. 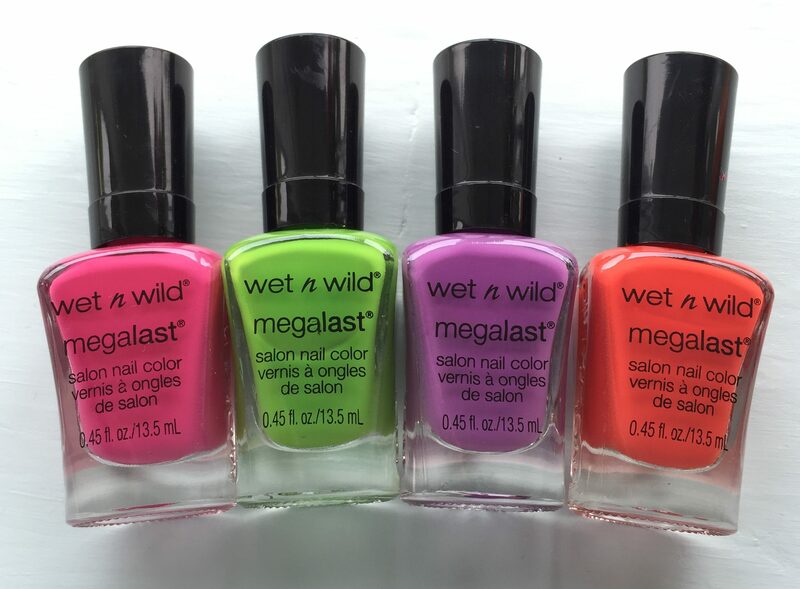 (By the way, there are a bunch of the Wet n Wild polish colors that are exclusive to Dollar General. Really pretty colors, too!) This polish is called Limelight, and it’s just about the same color as Leaf Me Be, except it has a yellow/gold shimmer. It’s really pretty, but since I just bought Leaf Me Be, I couldn’t justify buying Limelight. I’m not sure what Limelight’s formula is like. Oh, one more thing about Leaf Me Be: it’s a stainer. After my jelly sandwich mani, my nails were (well, still are) a lovely booger green color. Really unattractive. It’s not a big deal for me because I just slapped more polish over my gross looking nails, but if you don’t always wear polish, this might be a deal-breaker for you. 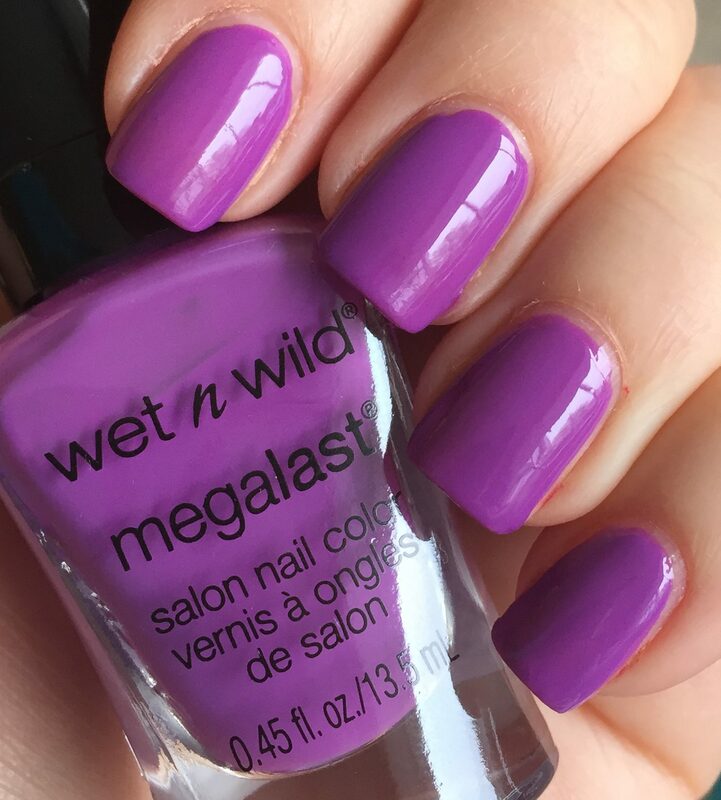 Wild Wild Violet is a beautiful warm purple polish. Much like Cherry Blossom On Top, it’s opaque in two coats and dries to a really shiny finish. This is such a flattering color against my really light skin! In comparing it to other purples in my collection, I found that I don’t have anything super close to this color. 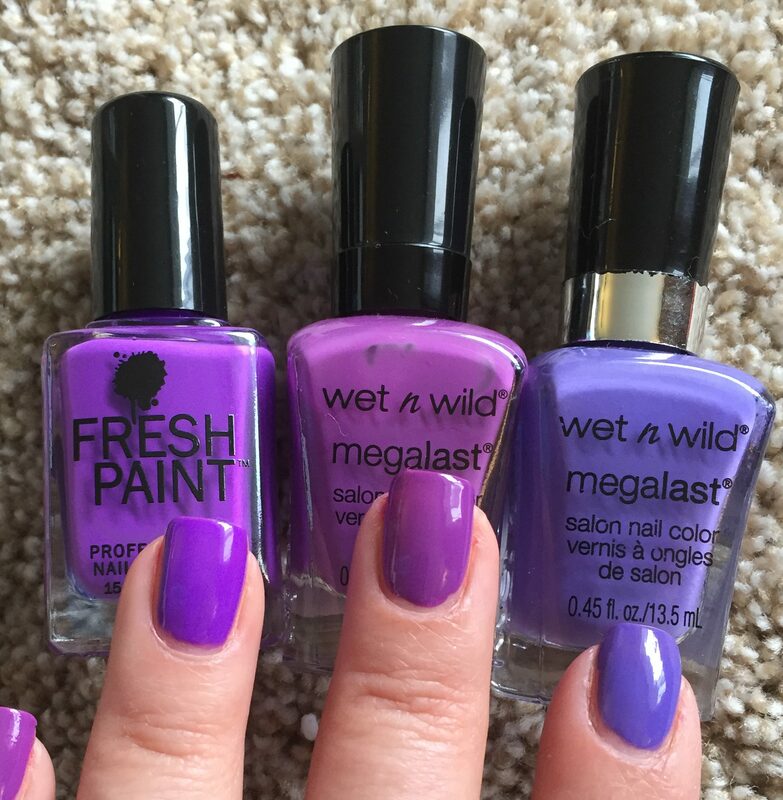 In the comparison picture, Wild Wild Violet is in the middle, Fresh Paint – Sophia is on the left, and Wet n Wild – On a Trip is on the right. You can see that Wild Wild Violet is the warmest of the three. Sophia is a much more intense color; it’s almost neon in person. On a Trip is obviously much cooler in tone. I really like this polish and I’m super happy to have it in my collection. One more thing, though… This polish is the mother of all stainers. 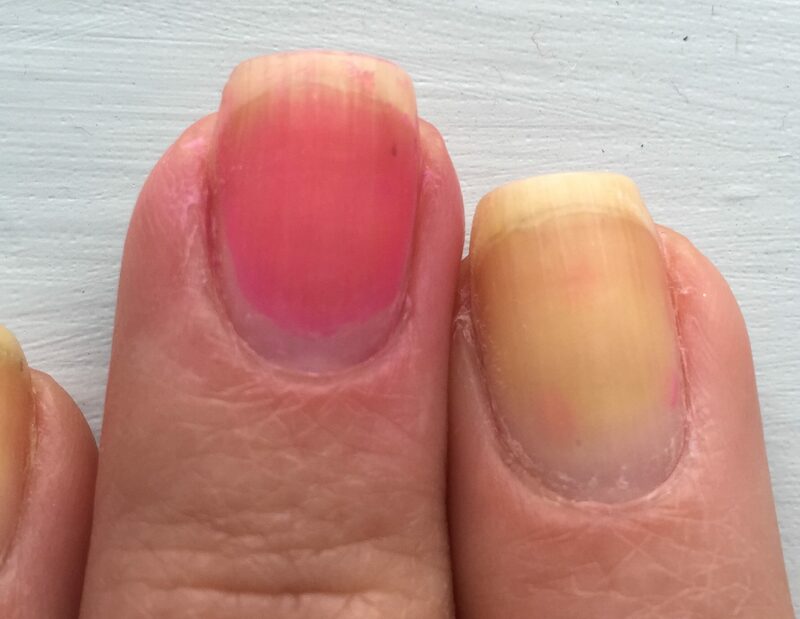 What you’re looking at here on the right is my middle and ring finger on my right hand after I removed the mani I was wearing on the left. Wild Wild Violet left the nail on my middle finger a crazy bright pink! I’ve never seen a purple polish (or even a red or pink one for that matter) stain like this! Holy moly! And even on my ring finger (which is still kind of green from my Leaf Me Be jelly sandwich) you can see pink dots which are from the leopard spots! That means that this polish is capable of staining your nails even if you are wearing white polish underneath it! And I had a base coat on! The fact that I’ve ended the last five sentences with exclamation marks should be a good indicator of how crazy that is. 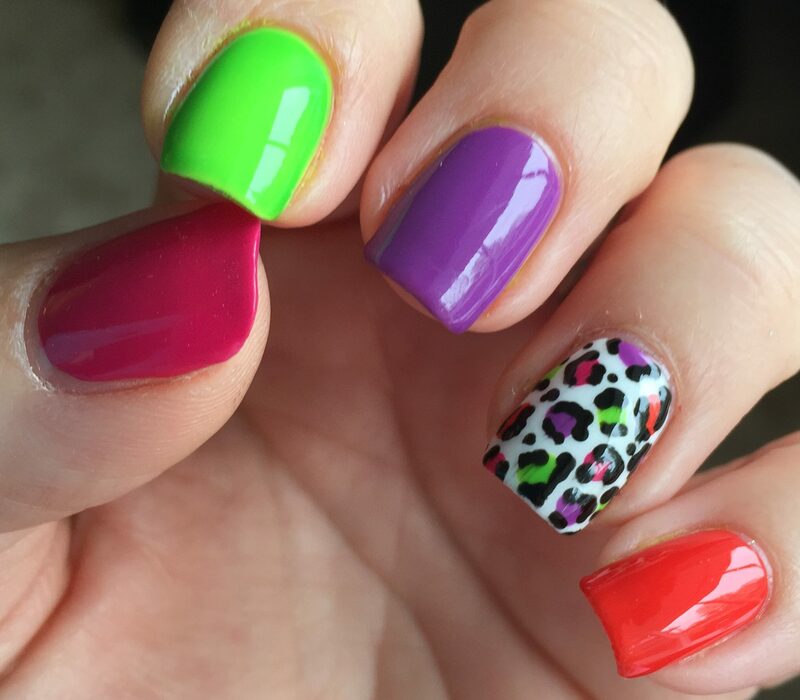 By the way, isn’t this mani using all of the polishes from this collection so fun? I enjoyed sporting these nails. 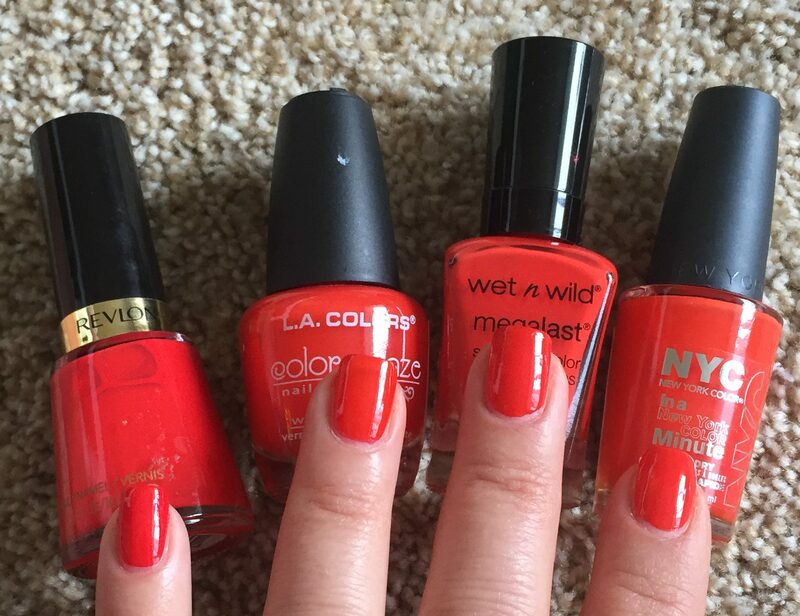 The last polish in this collection is a vibrant reddish-orange cream. This one took three coats to be opaque, and like all of the others in this collection, it dries to a high shine. This polish is red enough to not look too bad on my fair skin, but I think it would look extra good on darker skin. 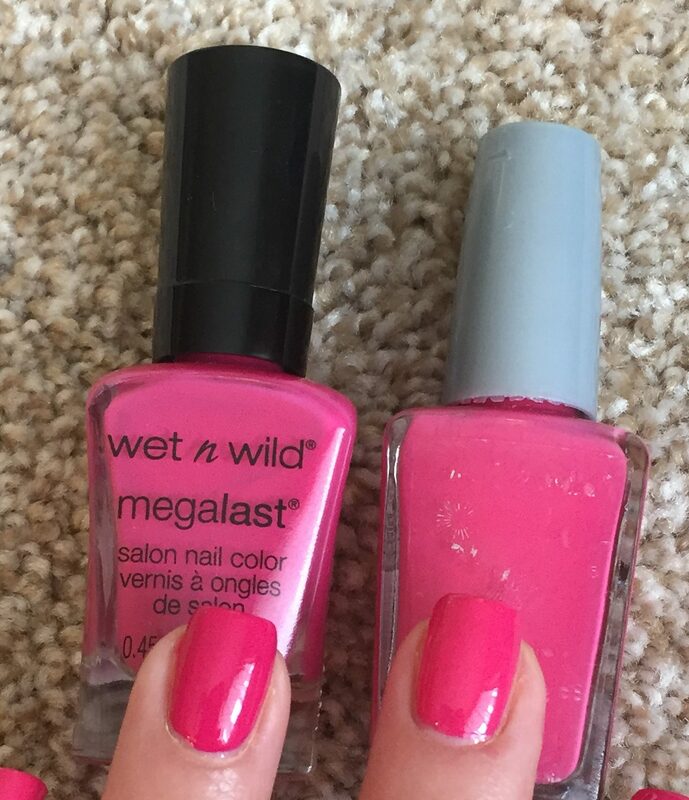 As far as dupes for this polish go… There are a lot. Pictured from left to right are Revlon – Fearless, LA Colors – Moody Red, Poppy Culture, and NYC Spring Street. If I had realized that I had so many polishes that were nearly identical to Poppy Culture, I probably wouldn’t have picked it up. 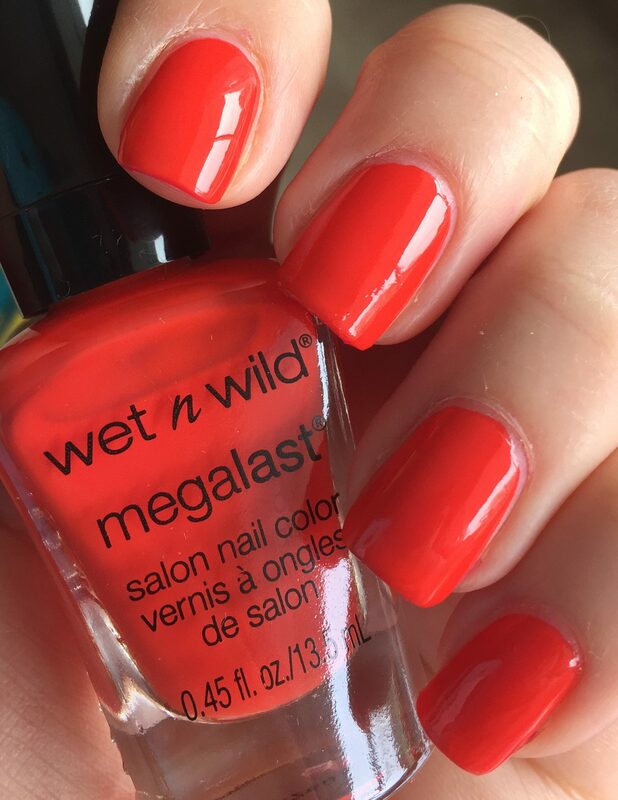 If you don’t have a fiery orange-red in your collection, Poppy Culture is a perfectly fine polish to pick up, but this color is hardly unique. Overall, I think this is a really fun collection, and the colors all work well with each other, even though they are not crazy unique. The formulas are consistently good and the price tag of under $2 a bottle is awesome! The only negative is that two of the four polishes are mega stainers. So, what do you think of this collection? 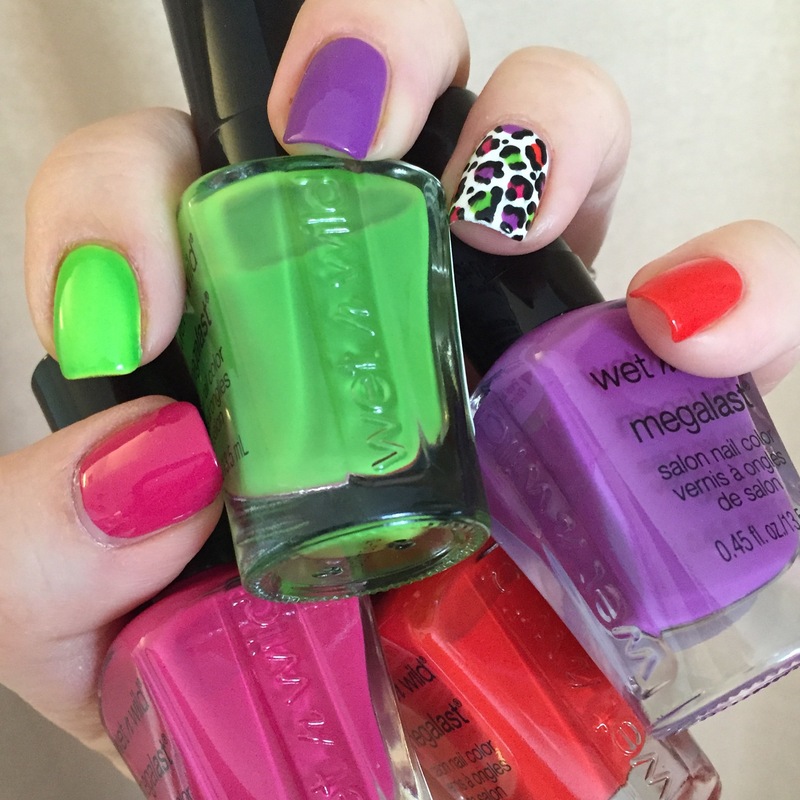 Have you picked up any of these polishes? Is staining a deal-breaker for you? Let me know what you think!